Tithing: Sacred Obligation or Rude Word? This is a short study on the theological and personal problems I have with the way tithing and the theatre of it is actually conducted within churches. I’m happy to be wrong but I’m convinced the conversations needs to be a tad more urgent. Secondly, there are many within our churches who would use the argument above but still not even give anywhere near their perceived ten percent obligation, because no-one knows, nor has the right to ask them how much they earn, how much they give away, and how they order their finances in general. In British culture, especially in churches, this is a probing question too far because “my money is my concern.” Individualism has come home to roost, even if, oxymoronically, this person wants a public display of their giving via the church collection. But what of the flip-side? What about those who do not give because they cannot afford to give? A public expression of tithing such as the plate being passed around may publically validate the one who has something to give (leading to pride), but can lead to shame and guilt for the one who does not. Furthermore, since people do make observations and judgements for good or ill, even the one who gives irregularly or the one who uses a bank transfer will be regularly seen to be not giving, and inasmuch as people should not be concerned by this, the manner of our practise is a way of approving only those who give during the public service. This inevitably can lead to superiority and pride among some, and shame and embarrassment among others. For a community of grace with a message of Good News, this will not do. Thirdly, if tithing is a rude word for many Christians, either because they dislike the practise, think it unbiblical or they do tithe but do not discuss their finances under the rubric of individualism, then it is certainly a rude word among those whom the church is trying to reach. If the church exists for mission, to reach the lost in our communities, then the church needs to respond to the common, even if ill-thought out charge that “the church is always after our money.” For some this is a major stumbling block to faith, even if it is used as an excuse to come to faith. This point is a major concern for me because this is by far the majority view within my wider family members who are non¬-Christian. That the church is full of hypocrites and always after money is in fact a true observation. But so is the world outside the church and yet they choose to remain there. Thus the real issue as ever, is about faith in Christ: people will not come to faith in Christ, and so smoke-screen objections are found, even if on one level they are true. These objections may be true but they are also contradictory. It is true because somehow Western culture has imbibed a collective historical memory that remembers the financial abuses of church history (people may not know of Martin Luther, the Reformation and ‘faith alone’, but they sure know that money was involved even if they have never heard of indulgencies), not to mention the headline and money-grabbing antics of some recent and present day tele-evangelists. Therefore, the church should continue to examine the what and why of tithing, so that this objection among those the church is trying to reach can be removed, or at least made less central in our gathered worship services, and therefore less offensive to a church-suspicious culture and more biblical to the faith community. What I mean by the often perceived narrow evangelical claim of being “more biblical” is allowing room for scripture to speak coherently and authoritatively into the present post-Christendom context, in other words, this is not about proof-texting! That money is required for the church structures is a given, and may be part of the tension and compromise that weakens my argument. What I would endeavour to see, is a broadening of what a tithe is, so that people who serve the church in time and energy and resources also recognise this service as their tithe contribution. That the ten percent discussion is a mean-spirited place to start when in fact we keep ninety percent and most church folk live extremely well off, coupled with the stark poverty of the Two-Thirds world is a glaring, if not down-right sinful omission. The Christian research organisation Empty Tomb has some sobering statistics. Chief among them were the findings based on one-third of U.S. churches: “Giving to churches declined to 2.4 percent of a donor’s income, lower than during the years of the Great Depression; in addition, $172 billion could be available if church members tithed ten percent.” This not only reveals the failure of Christians and the tithing system in churches, but the hypocrisy that the average amount of those who do tithe is a quarter of the minimum they would argue for from scripture. We shall now briefly turn to scripture, since the debate over tithing lies in part under the issue of the relationship between the OT tithing stipulations and Christian practise today. 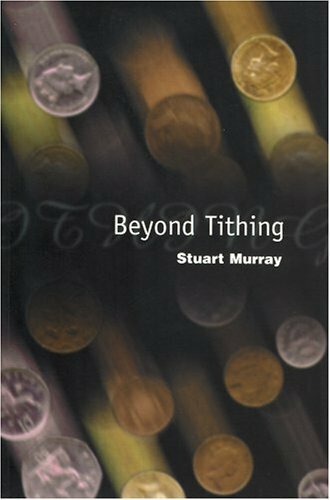 That is why Stuart Murray can affirm that tithing is indeed biblical before raising the objection, “… but is it Christian?” This is because many advocates of tithing are far too Old Testament dependent in support of their view. This would typically involve Abraham tithing to Melchizedek in Genesis 14:17-20 (pre-Law); Mosaic Law (Exodus-Deuteronomy); and Malachi’s scathing criticism of the post-Exilic community who were “robbing God” (Mal 3:8-12). Yet when one turns to the New Testament, we find only three passages that directly reference the tithe, Matt 23:23 [cf. Luke 11:42]; Luke 18:9-14; Heb 7:1-10. Simple exegesis of these passages leads to two observations. First, none of these passages have tithing as their primary subject. If a subject is mentioned in a passage this does not mean it is the primary subject of the text. Distinction must be made between primary and secondary subjects, because the goal of interpreting these texts is to look for authorial intent. Thus the primary meaning(s) needs to be the focus of interpretation, and though secondary meanings can be identified, should not be the focus of interpretation. This leads to the theological parameter of doctrine building. If a text has a secondary meaning that appears to support a certain doctrine, a text should be located that has as its primary meaning that doctrine. Then the secondary meaning can be used to validate the text that has the doctrine as its primary meaning. Second, none of these NT passages command tithing for Christians. Commanding tithing and mentioning tithing are not the same thing, and neither is the command for ancient Israel to tithe an automatic command for Christians. What is at stake are basic principles of biblical hermeneutics in how Christians make use of OT texts today. The Hebrew word for “tithe” is maaser, which means “a tenth part.” This is where the claim by Christians comes from that ten percent is the standard, despite the Mosaic Law averaging in real terms approximately twenty-thirty percent! However, the first time tithe is mentioned in scripture is Genesis 14:17-20 with Abraham and Melchizedek. The mysterious figure of Melchizedek has intrigued every generation of Bible reader. The text says he was a priest [of God Most High] and the king of Salem. Whilst the Messianic Psalm 110:4 makes reference to him, by the time we get to Hebrews 7, the Christological dimensions of Melchizedek are more explicit even if he himself remains elusive. Murray is perhaps a little too dismissive in referring to later references as being “best understood as a creative interpretation of the story” , but what he rightly argues against, is the dubious basis of using this story to get Christians to tithe. Interestingly, the mission to rescue Lot who had fallen captive to the victorious alliance of kings, was so successful that Abraham ended up with all their spoils of war too! Thus the defeated king of Sodom returns to the victorious Abraham (a brave move by any estimation) because he thought Abraham was going to keep it all. There are two notes of observation. First, that the king of Sodom confronts Abraham without anything to offer him suggests the king of Sodom may still be aggressive and displeased. Second, by contrast, the king of Salem (lit. “peace”) appears with bread and wine. While one king came empty handed, which is culturally dishonouring and potentially aggressive, the other came in peace and greatly honoured Abraham. 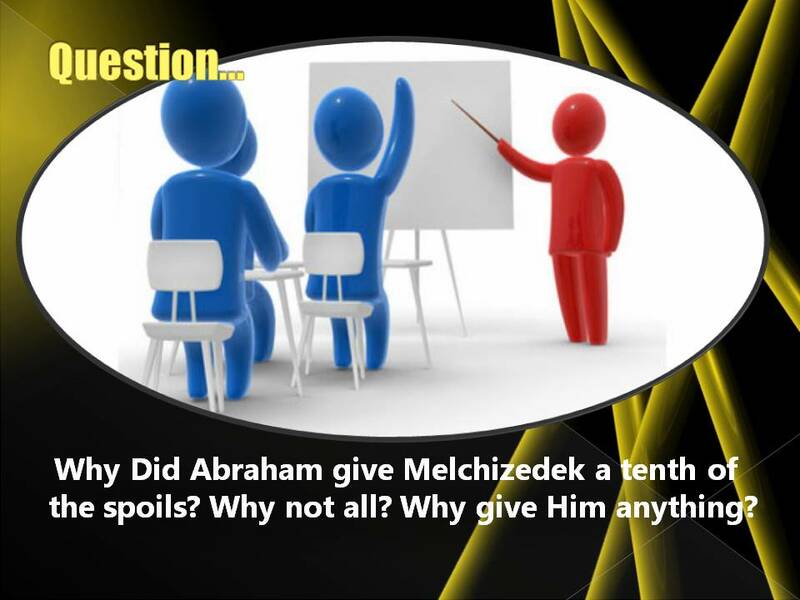 Thus in this context, in the presence of a priest-king, Abraham gives Melchizedek a tenth of everything, which, according to Hebrews 7:4, was the spoils of war, though in the Genesis account, it could be interpreted to mean everything of his own wealth including the spoils. In 14:21-24, Abraham outlines to the king of Sodom the oath that he would not keep the spoils of war, so he only insisted on taking what his men had eaten, the rest he gave back to the king. The “rest” after the ten percent to Melchizedek is ninety percent to the king of Sodom. Thus Abraham gave away 100 percent of the goods. Melchizedek had blessed Abraham because God had given him the victory in battle. Abraham had made a “spoils of war vow” that was typical of ancient Near East practise. So the specific context of war and the following conversation with the king of Sodom, within the wider context of the common practise of tithing among cultures, make the case for a Christian to tithe on this basis rather weak. This example from Genesis 14 is important for those wanting to validate tithing in the traditional sense within churches because it is, they rightly point out, pre-Mosaic Law, i.e. it was a voluntary and free-will tithe, much like churches often encourage today. But given the sketchy details, the cultural norms, the subsidiary nature of tithing within the story compared to the main point: God is with Abraham to protect and provide, and irregularity of tithing recorded in Genesis generally, the use of this text to justify tithing is on precarious hermeneutical ground. 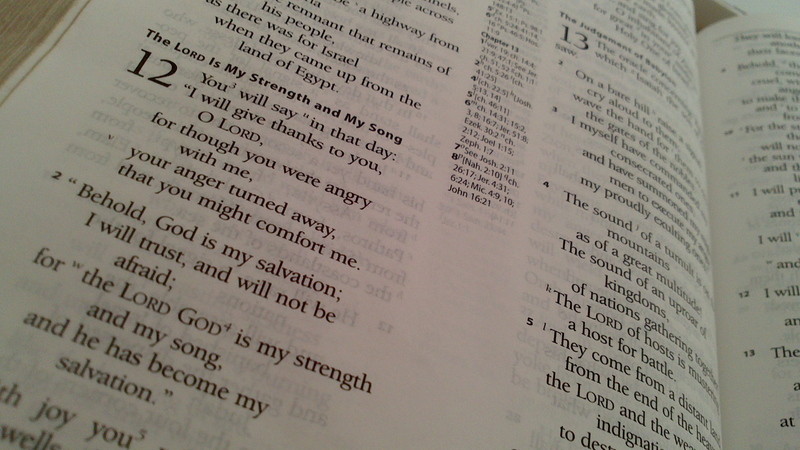 There are three major passages that deal with tithing (Lev 27:30-33; Num 18:20-28; Deut 14:22-29). Each one is designed to function in ancient agricultural Israel, and also contains important information for understanding the applicability of the tithe to Christians. Despite this, there is considerable scholarly debate about the description and amount of tithes as well as the items liable to tithe. This centres on discussions of JEDP theory and the law of abrogation whereby the latter replaces the former. The complexity of this debate and space prevents further comment although it is an important factor. However, we now turn briefly to the Mosaic Law . It may be because the surrounding cultures practised tithing that Israel too were instructed in this practise within a legal framework, and not the ad hoc manner of Abraham’s recorded practise. However, the legal framework was within the wider context of God’s unique covenant with Israel, a covenant which if broken, would result in Israelite expulsion from the land. Thus the agricultural nature of the tithe was rooted in the land and specifically given over as “holy to the Lord”, (a phrase that makes it unclear what happened to the tithe or where it went). The connection with land in OT law has serious hermeneutical implications for its applicability to Christians. As with other OT motifs, such as the exodus, manna, water, shepherd, priesthood, etc., land too is a type, a shadow, as Hebrews explains. Among other things, what this can mean hermeneutically, is that the tithe as relating to Israel must be contextually understood, and not simplistically applied to present day Christian living, otherwise it is legitimate to ask why Christians today “wear clothes made of wool and linen woven together” (Deut 22:11), when the Law clearly forbids it! This first reference to tithing in Lev 27:30 is a general introduction to the tithe outlined elsewhere in the Law, and details are found in other references already cited that relate to the recipients (priests and Levites), quantity, quality and regularity of the tithe, as well as festivals and monetary allowances made for various reasons. Tithes were anything but one-dimensional. Their multifarious expression were always in connection to the increase from the land, an obvious point in an agricultural society. The Mosaic Law never directed Israelites to give of their increase, because it specified particular products, not all, and they were always connected to the land. This is one reason why in the first century, as Grant suggests, artisans, fishermen, and tradesmen did not pay tithes on their income, and importantly, Diaspora Jews did not pay tithes on anything, as well as priests and the poor, who owned neither land nor animals, also being exempt from tithes. Quite possibly the most quoted verse by Christians in favour of tithing. However, there are six hermeneutical questions to ask of this text. What is the purpose of these verses in Malachi’s wider context? What do “offerings” refer to? To what does the “storehouse” refer? Is the “testing” universal? What is the promised reward? 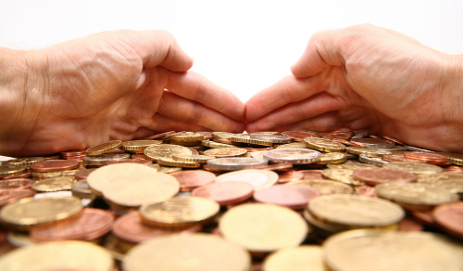 Are Christians robbing God if they fail to tithe? Malachi is a post-exilic prophet who is calling the children of the returnees back to covenant faithfulness. These verses on tithing are closely related to what preceded it because the issue of God’s divine recompense within history is addressed. So Malachi explains why the only reason Israel had not been completely destroyed was due to God’s unchanging faithfulness to his covenant promises (3:6). This second generation remnant community were complaining about God’s apparent injustice (2:17). They had not stopped to consider that his patience in withholding destruction from others was the very thing that had also saved them from destruction. What Malachi does do is call them to repentance rather than criticise God for being patient with others (3:7b). Malachi’s essential message is thus the same as the centuries old prophetic message in general: Return to God and he will return to you. Now comes the tithing text. Earlier God had singled out the issue of blemished (poor) sacrifices (1:6-14), but here tithing is chosen. The people were violating the covenant by refusing to pay tithes, and as such, under Deuteronomic law, were liable to the curses (Deut 28:15-19). Thus, their obedience would bring astonishing material blessing, as the law also says (Deut 28:1-14). The issue at this point is not that tithing is wrong per se, but that it is wrong to justify tithing as a Christian from the OT in the way that it is often justified. From our examples, we can see that tithing is the act of giving out of every ten items produced from the land (crops and fruit) or cattle. These laws only applied to Israel and never referred to earned income. This leads us to the NT and one of three passages that directly refer to tithing. Jesus here does not condemn tithing, but clearly considers it a less central aspect of the Mosaic Law, so although it was still part of the law, Jesus in no way abrogates it. The hermeneutical question at hand is this: what is the main point of the verse? It is not tithing, as much as it is not about herbs and spices. As already mentioned, the primary force of this passage is about justice, mercy and faithfulness being much more important as a response to God than mere legal observance. Yet even this does not negate the requirement to tithe, because Jesus does affirm that all these things should still be done (tithing the herbs) without neglecting the others (justice, etc. ), because tithing was part of the Temple system, a central part of Judaism, without which the worshipping life of Jews could not continue. Thus he does not condemn tithing, but a wrong attitude and/or motive of those who tithe. The reason this verse should not be used to support tithing today is because this was directed to Pharisees under the old covenant. A controlling interpretive principle is helpful: description in the gospels does not equal prescription. And not just the gospels, but in all of scripture, otherwise one could get the distinct impression that when reading Judges, God approves all that happens, but that is not the case at all! It is this dearth of primary NT sources that make the case for tithing today weak. This is compounded by the way the tithe as an OT motif is fulfilled in the NT in three ways. First, the Levitical tithe was to support the priesthood. Whilst clergy may consider themselves in this line of ministry, the NT does affirm the priesthood of all believers (1 Pet 2:9). The second point is that of inheritance to the land. By contrast, the NT frames inheritance in terms of a future guarantee of salvation (Eph 1:14) and not land. Third, the tithe operated to keep the temple functions going. Christ’s death has done away with the need for repeated sacrifices, so the temple is redundant on that basis. Furthermore, Paul refers to believers in the plural and singular as the temple of the Holy Spirit (1 Cor 3:16-17; 6:19). As Murray says, “[tithing] is not a fundamental principle that can or should be transferred from its OT context into the experience of Christians and churches today.” He goes on to say that while this cannot be justified (hermeneutically), it does not mean Christians do not have a great responsibility to give to the needy; respond to social injustice; share resources; or care for those with spiritual oversight. This means that the justification and mechanics of how we do this will look not only radically different from the accepted norms today, but will also be closer to the dynamic and radical nature of God’s Kingdom. 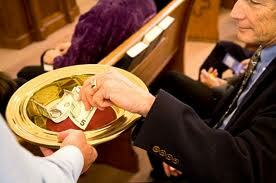 The modern emphasis on tithing is little over 100 years old. Tithing was barely mentioned in the pre-Constantine era, and when reference was made, like the NT, it was as a secondary issue. Murray argues this may well be because the early church was simply not interested in it, rather than the silence implying complete acceptance. Clement of Alexandria (150-215); Augustine (354-430) and Jerome (437-420) did (among others), in one way or another, advocate tithing. However, Clement also concluded that the sabbatical year and jubilee laws also applied! Augustine believed all Christians should give everything away, but a tithe was a compromise, even though he complained not enough was being tithed, as did Jerome. Aquinas (1225-75) declared tithes were no longer a command and that is was not a moral precept to be obeyed. Martin Luther (1483-1546) has had views difficult to interpret, but he did state that all the Mosaic laws given to Israel were not binding on Christians. The two controlling factors for him were whether it was in accordance with natural law and the NT. Similarly and more radically, sixteenth century Anabaptists called for tithing to be abolished, insisting the NT taught nothing about tithing and that ministers should be supported by the congregation they serve. Right up to the present day, scholars and church leaders are divided on this issue. As stated earlier, what is the response to be of a minister in a church that carries all the uncritical hermeneutics into the way the finances (tithes?) are gathered? This may well be a compromise I live with, in the light of ministering within an established church. Murray’s excellent “what if?” section where he outlines a creative alternative is a superb place to start when the church is new and tithing and giving and stewardship can be taught well from the start without any historical expectations, be they good or bad. But even so, the list is theoretical brilliance, but realistically, for me, a greater burden than continuing with the old, bad, unchristian way of resourcing the Church for ministry and mission. He does not offer solutions for ministers in my position right now, only an ideal to work towards that would involve nothing short of a major paradigm shift in the life of the church, and yet I’m still convinced he is correct! Nevertheless, many churches have considered how the offering is collected and like me, have found a plate or bag to be an embarrassment. Rather than abolish tithing then, the churches have changed the point of collection, so that the embarrassment of the plate is removed from such a prominent place in the service, to a fixed point somewhere in the church. Anyone committed to giving simply places the gift in the box before or after the service. This removes awkwardness, and the pomp and ceremony that devalues (it seems to me), a gathered worship time. This could be a reasonable starting place for a church that would struggle to contemplate the radical nature of Murray’s suggestions. This is a sobering thought to any who consider the future of church life. The only way to respond is surely to prepare the church today with good bible teaching, sound doctrine and a Christ-like generosity that models to a selfish world the goodness of a giving & generous God. It may be that as this wealth transfers and churches and denominations go into financial meltdown, the shape and focus of the church will become more defined and intentional. In a rapidly changing cultural context, the church needs bold imagination not just for mission, but in every aspect of its life, and that includes how the finances are raised and used. So we affirm that tithing, as it is practised by many churches today, is not a sacred obligation, and therefore, should be radically re-evaluated with an urgency that understands both the biblical text and the coming future wealth transfer. 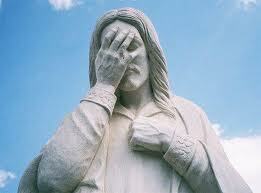 ….I know, sorry Jesus, but the Church is embarassing you! This is a sobering thought to any who consider the future of church life. The only way to respond is surely to prepare the church today with good bible teaching, sound doctrine and a Christ-like generosity that models to a selfish world the goodness of a giving God. It may be that as these wealth transfers and churches and denominations go into financial meltdown, the shape and focus of the church will become more defined and intentional. In a rapidly changing cultural context, the church needs bold imagination not just for mission, but in every aspect of its life, and that includes how the finances are raised and used. When I first came to my church, the mission budget was £50 and the photocopier budget(!) was £1000. If ever there was a time I needed Scotty to beam me up, it was then! So not only was this a misuse (duh! Really?) of funds, but the rigidity of conforming to a tithe (hardly anyone even gives a standard 10% even though the OT tithes were between 10-30%), and the way it was administered (embarrassed hush as plate goes round and poor Mrs Jones is shamed yet again when everyone hears her coppers slam to the brass bottom). 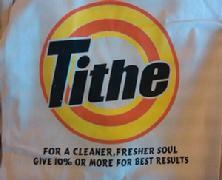 The NT doesn’t even say we have to tithe, but it is pretty strong on generosity. So Gralefrit affirms that tithing, as it is practised by many churches today, is not a sacred obligation, and therefore, should be radically re-evaluated with an urgency that understands both the biblical text (Old and New Testaments) and the coming future wealth transfer. NB. The above is part of a larger study I have done. If you want a copy I’d be happy to send it. Let me know. 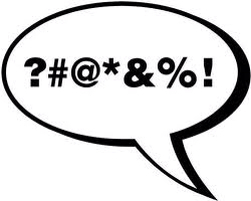 In the meantime….. know this: I’ve stopped the plate/bag/bowl going through/round the congregation on a Sunday morning – it was just so….crass……so cheesy….so darned wrong! Wake up church or close! Start living by faith. Let’s turn our own tables over!